In our January edition of our Preemie Family newsletter we learned about the truly courageous Alejandro de Jesus Fernandez-Khonyongwa, a 24-weeker who was 645 grams at birth and spent 5.5 months in the NICU and then was re-hospitalized 6 more weeks for retinal surgery and RSV. Read more in an update by his mother, Gigi . . .
Where do I start? Do you want to long version or short version? How do you sum up in a few words an experience that shook your being to a core – and in many ways are still causing you to feel a few tremors – albeit more positive ones now? 1st Wave: Finding out we were pregnant with twins in 2006 after losing our 1st pregnancy in the 2nd trimester. This wave ended with us losing 1 twin in utero and and couple of months later, Alejandro being born at 24 weeks weighing 645 grams at Chelsea and Westminster Hospital in London, England. I am still shocked to this day how I could visit my ob/gyn at 9:00 a.m. on August 24th and by at 1:40 p.m. that same day, my waters broke. I was 23 weeks and 5 days pregnant. At the hospital, he was given a 0 to 5% chance of survival but we were told to expect the former. We felt so alone because we were living in London, England without any family around (my family was in the USA and my husband’s was in Spain). 2nd Wave: At times this seems blurry and at other times, crystal clear. 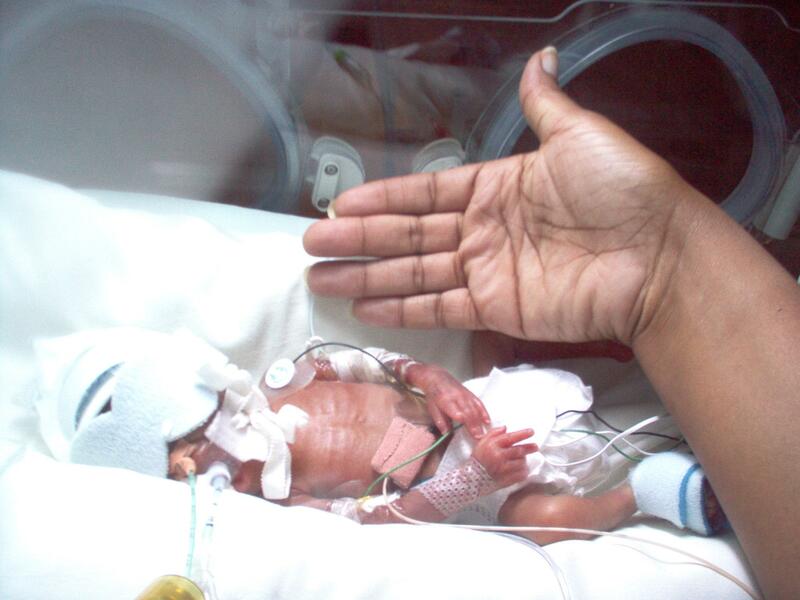 A lot can happen in a 5 ½ month NICU stay and yes, a lot did actually happen. Alejandro had all of the micropreemie ‘gifts’ like PDA, IVH, long-lines, short-lines, jaundice, NEC w/ perforation(requiring emergency surgery and a subsequent colostomy bag), chronic lung disease, multiple resuscitation episodes, and his doozy of a thing that caught all of us by surprise – severe ROP – which progressed rapidly (over a couple of days) leading to total retinal detachment in his left eye and most of a detachment in his right. He eventually became legally blind. This really knocked us because we were focusing on all of his organs to keep him alive and regardless his eyes were being checked weekly. It has now become his primary ‘preemie gift’. 98% of what a child learns is through what he sees, so due to his vision loss and micro-preemie birth and complications, Alejandro has some developmental delays. 3rd Wave: Post-NICU (initially): Hmmm, this was a combination of a million ups and downs and it keeps going. 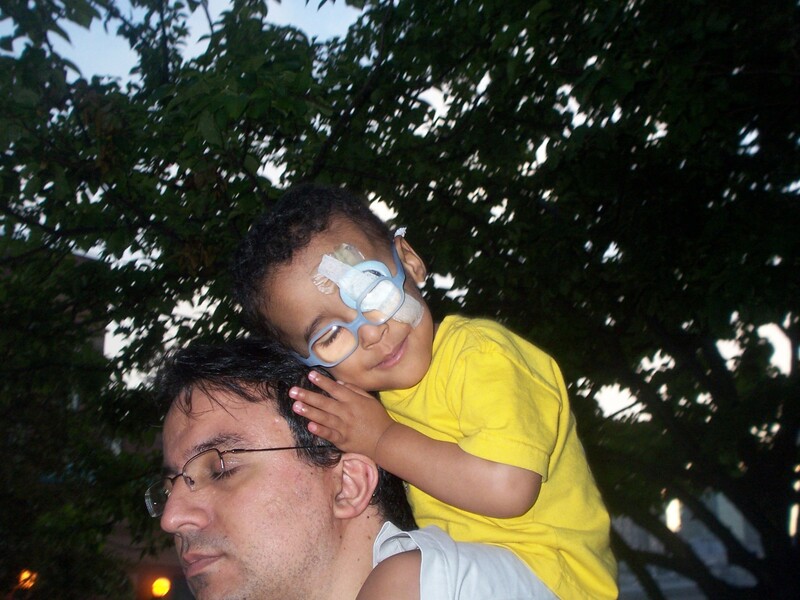 We were home for 1 ½ weeks before we flew from London to the USA (Michigan) on a medically-assisted flight for Alejandro’s 1st of many retinal surgeries. He had a number of vitrectomies (a very invasive surgery which is supposed to help his retina ‘fall back’ and reattach) and lensectomies (where they removed both of his lenses to try to save his retinas). Due to him no longer having lenses, he can no longer focus. The biggest trial of those initial post-NICU days is that it encompassed one of the worst days of my life. Unbeknownst to us (and many at the hospital), the hospital was having a RSV epidemic (and frustratingly enough Alejandro had not been given the Synagis injections in England because he wasn’t eligible – another long story . . . ), and we got caught right smack in the middle of it. Post-op, Alejandro was discharged after a couple of days. He was SPO2 levels were fluctuating but the nurse felt that he was more stable than not. My gut felt otherwise but I went along with her (that was one of the last times I didn’t trust my gut). Alejandro had acquired severe RSV and turned blue as we walked to our car! I thought: my baby has been through so much for the past almost 6 months and I wasn’t about to lose him now! I screamed when I saw his blue-ashen face and raced back in the hospital. The nurses immediately checked his O2 levels and were shocked. And way faster than I could process it, Alejandro was put on O2, re-admitted to their NICU and eventually to their pediatric ward, where we stayed for 6 weeks! A hospital stay that was supposed to be 2 weeks ended up being 1 ½ months. We felt alone again because we didn’t know a soul in Michigan and was stuck in this hospital. Thankfully my Mum and other family members flew up to Michigan to be with us for a few days. 4th Wave: Fast-forward to now and this wave is ongoing: I’ll try to sum up the past 6 years in a few sentences. 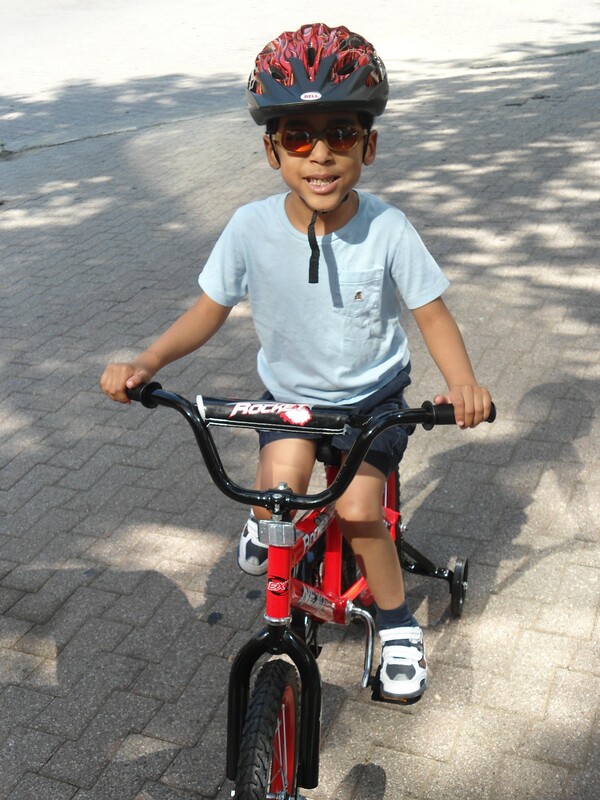 To date, Alejandro has undergone 10+ surgical procedures on his eyes (whew!) and has had a lot of respiratory-related illnesses. After the first RSV scare, He remained on Synagis for three more winter seasons. But to this day, colds still knock him out and we are constantly trying to prevent another episode. Despite all of this, Alejandro is a bubbly, giggling and increasingly confident little boy. I often forget that he is blind (and this is fact about him that I love). When you meet him, his personality wins you over in an instant. We’ve never treated him like our blind son Alejandro but rather our son Alejandro, who happens to be blind. His blindness doesn’t characterize him but is a part of his character. 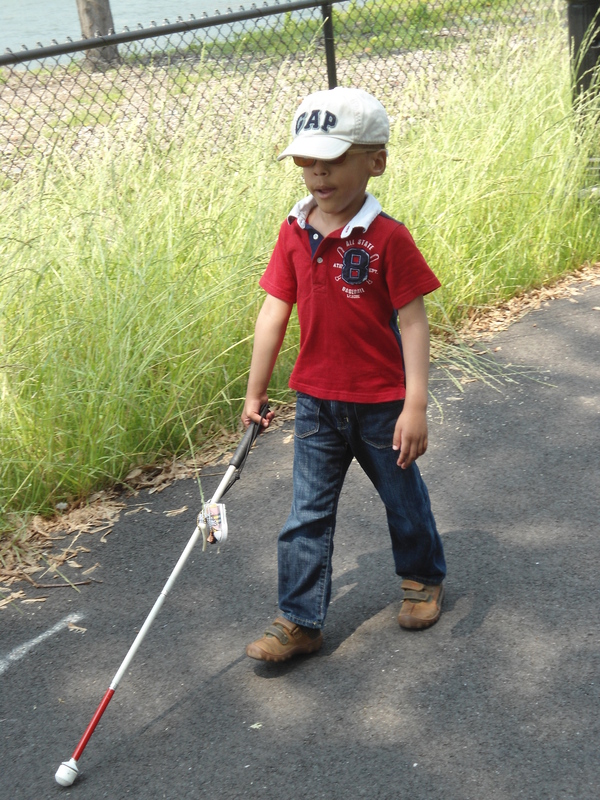 Alejandro is currently in kindergarten and is learning Braille and how to use his cane. He is learning about his environment in so many amazing ways. He ‘sees’ with more than just his ‘eyes’ – and has taught me that you don’t need sight to have vision. I am in awe of what he’s accomplished so far. 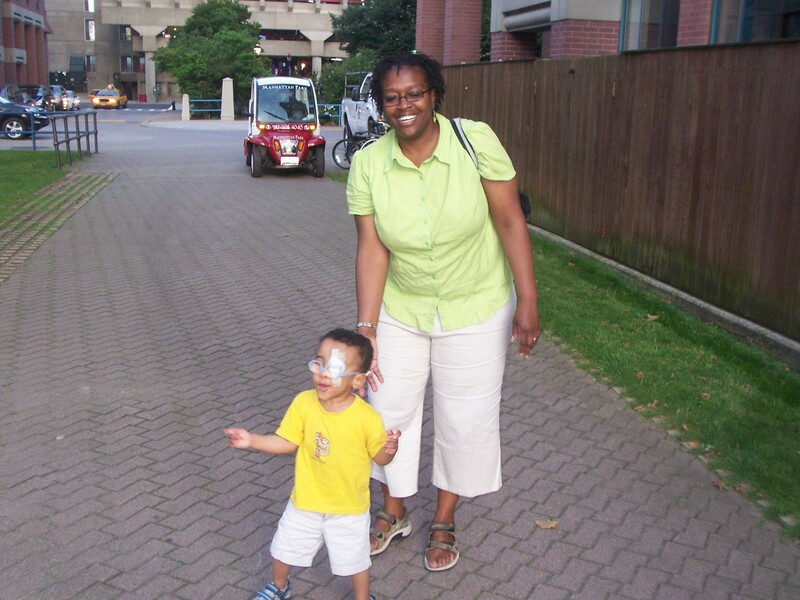 Education for a child whose blind is a BIG hurdle as it affects how they learn on so many levels. There have been challenges and I know that there will be many more but I’m confident that, like always, Alejandro will come out on top with a BIG grin on his face – and in the process, teach me (and others) a thing or two about life! We are truly blessed to have him . . .
All pictures courtesy of Alejandro’s parents.